If the New Jersey governor can’t handle a comedian, how can he run the country? 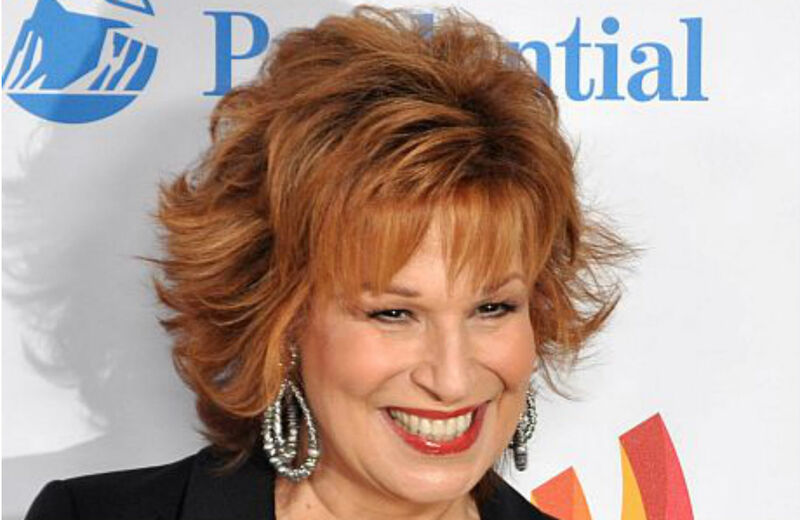 A couple days ago, a friend of mine witnessed this scene on West 65th Street in Manhattan: in a crowd lining up to get tickets for The View, two middle-aged women were talking excitedly about Joy Behar, though the comedian hasn’t co-hosted the show for nearly two years. Suddenly, one of the women lunged at her friend, acting out that startling moment when New Jersey governor Chris Christie stole the podium from Behar during a ninetieth-birthday roast of former Governor Brendan Byrne on April Fool’s Day. The second woman replied, “She’s fearless. She got right up in front of him.” Then she mimed the stern posture of what might be a mother reprimanding a son who towered over her. “I’ve known women like her in my neighborhood all my life,” she said. It’s easy to overlook the effect Behar’s run-in with Christie has had on public perception, especially on women. When the governor tried to intimidate the 71-year-old comedian, as he has so many women before her, she called him a bully and a coward. And when he physically got up in her face, she came back at him with more searing jokes. Christie attacks anyone who publicly disagrees with him, of course, but he’s best known for bullying the female teachers who’ve protested his cuts to education, or the mother who politely asked, “You send [your children] to private schools, so I was wondering why you think it’s fair to be cutting funding to public schools?” (“Hey Gail,” Christie responded, “…it’s none of your business. I don’t ask you where you send your kids to school. Don’t bother me where I send mine.”) His lawyer’s report that “exonerated” him of Bridgegate tried to paint Bridget Anne Kelly as psychologically unstable after another Christie aide broke off a relationship with her. As if feminine emotion caused the five-day traffic nightmare on the world’s busiest bridge. No doubt she provoked him, but, unable to control himself (you might say he was too emotional), he took the bait. He stood up again and, as she backed away in fear, he took over her space at the lectern, asking her, “Really? Really, is that what you’re thinking?” Christie went beyond, say, Rick Lazio’s infamous move into Hillary Clinton’s space during a 2000 debate and into something more reminiscent of Ralph Kramden telling Alice “to the moon!” But Christie regained his composure, delivered a zinger (“At least I don’t get paid for this”), and returned to his seat. In this brief encounter, you could find Christie’s entire governorship: he intimidates, he threatens, he can’t stand not to control the mic and he always gets the last word. But Behar was, for once, a female who got the last word—she signed off with a joke about feeling safe from Christie’s wrath because she was “taking mass transit home.” Sure, she was scared of him, but she rebounded. Repeatedly. That’s why she’s a hero to the women waiting in line to get into The View.